If you are injured or suffer some type of loss because of a lawyer's carelessness or negligence, you are entitled to money damages as compensation. Why? Because that's the law. Americans measure justice in civil cases in terms of money damages because that is all a jury can give to someone who has been injured or suffered the loss of a loved one. But there is a problem. Insurance companies don't believe in justice for all. Insurance companies believe only in corporate profits and try to deny people full and fair compensation. So what can you do? Call us. Get an Advocate to protect your rights. At Advocates Law Firm, we help people with legitimate malpractice claims get justice. That's our business. We have fought insurance companies and helped people with legitimate claims get the compensation they deserve since 1983. Regardless of the type of legal malpractice that has caused injury or loss, our firm has the experience, skills, and resources to pursue the claim and get the job done. At Advocates Law Firm, we pursue only serious and legitimate malpractice claims. This commitment gives us the strength and compassion to fight the good fight for our clients. This commitment also gives us the confidence and courage to put our money and time on the line for you as we charge no fees or expenses unless we win for a recovery for you. That makes us partners with our clients in the pursuit of justice. 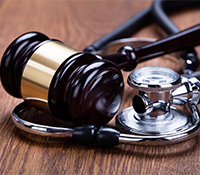 If you or a loved one have suffered a serious injury or loss as a result of legal malpractice, call us toll free at 860-348-1900 or contact us online. We can help. To learn more about Legal Malpractice claims and our ability and qualifications to help you, click on "Learn More."